Wimbledon-based boutique interior design company Suna offers its top five tips to housebuilders on ways to add value, appeal and luxury into a new build development. Assign a proportion of your budget to the ‘touchy-feely’ elements of the specification. Think door handles and light switches, with which the buyer regularly interacts. These exposed elements are the perfect means of demonstrating the superior value of a home. If budget is short, compromise on plug sockets rather than light switches, as they are generally positioned out of sight in a room, often hidden behind furniture. Kitchens are the hub of the home for many households and a luxurious kitchen can add a great deal of value for buyers. A relatively simple kitchen can be uplifted instantly with a hard-wearing stone or composite worktop. At the Silk District by Mount Anvil, we added a single bespoke element, designing a unique grooved cabinet door to the fully fitted kitchen. This provided a focal point for the open plan kitchen and living space. Hidden appliances can be a lower specification if necessary, however ensure visible appliances such as the oven and hob are at the highest end of the spectrum. 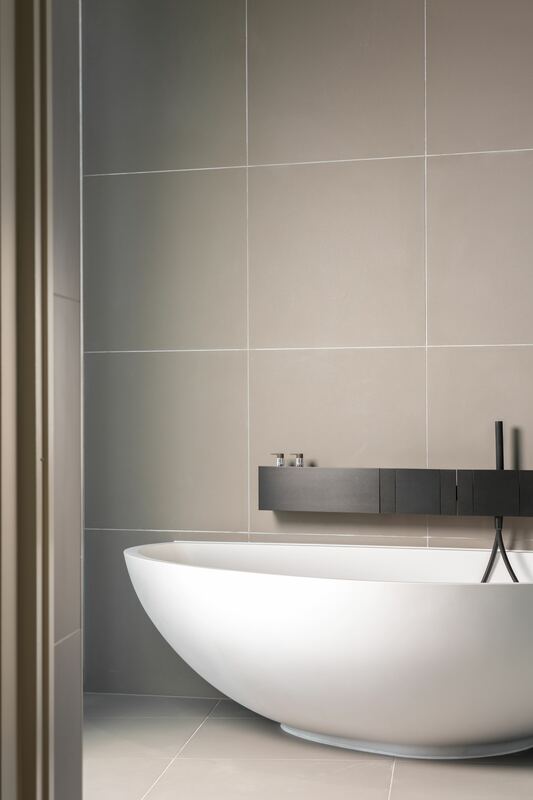 Porcelain flooring tiles can offer an elegant finish, pictured here. Burlington House by Catalyst. Whilst attempting to achieve a sumptuous bathroom, it is important to also consider all functional requirements, accommodating everyday life. Tiling doesn’t have to break the bank, interest can be added by simply laying the tiles in an unusual pattern or configuration. When it comes to choosing brassware, opt for feature pieces such as the basin mixers and shower thermostats. At Dollar Bay by Mount Anvil we also added a touch of indulgence by fitting a bath which gives the effect of freestanding. Attention to ambient lighting is also important, this can be achieved by placing lights under a vanity unit and embedding LED lights into mirrors; helping to create mood and atmosphere. In recent years marble effect porcelain has come on leaps and bounds. Offering an incredibly authentic alternative, there is also the added bonus of requiring less maintenance. 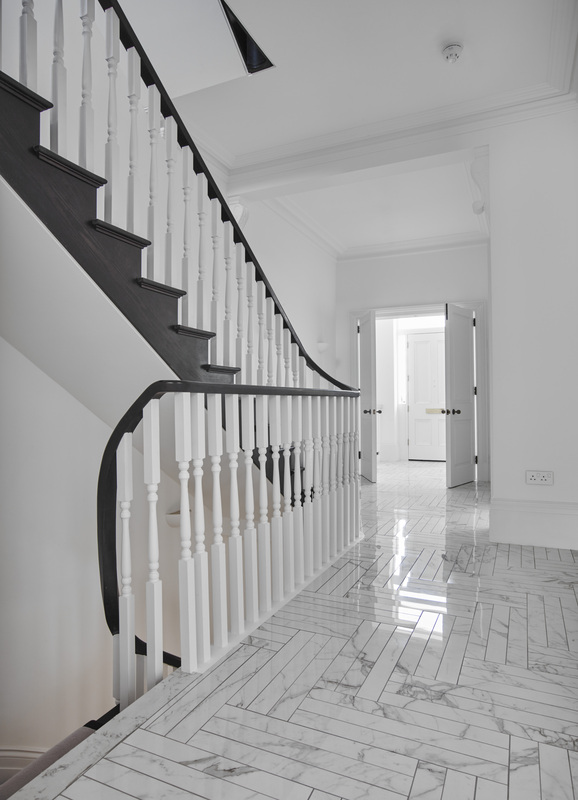 We incorporated porcelain flooring tiles to Burlington House by Catalyst to offer an elegant finish to the home. 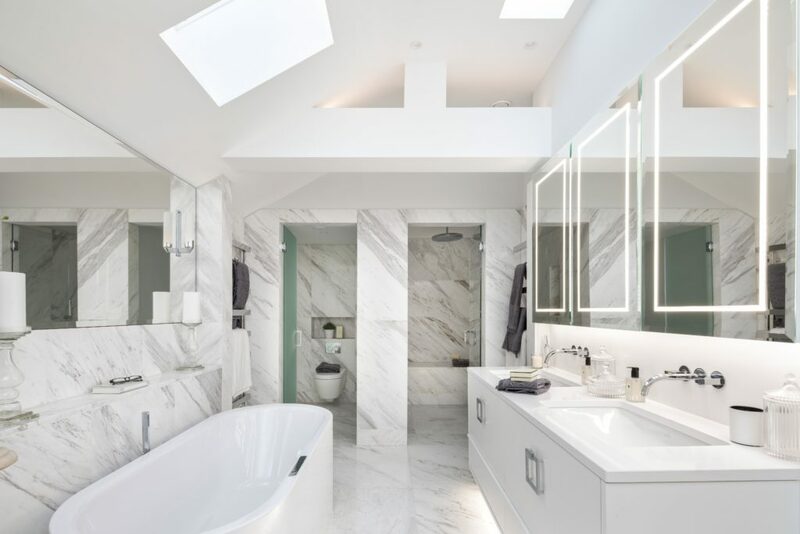 However, if you do want to impress buyers with the real deal, we have previously clad bathroom walls in marble, hand-picked from a quarry in Greece! The real indication of luxury comes down to the finer details and finishing touches. Go the extra mile to demonstrate distinct and unrivalled qualities, such as bespoke doors and ironmongery which can go a long way for discerning purchasers.